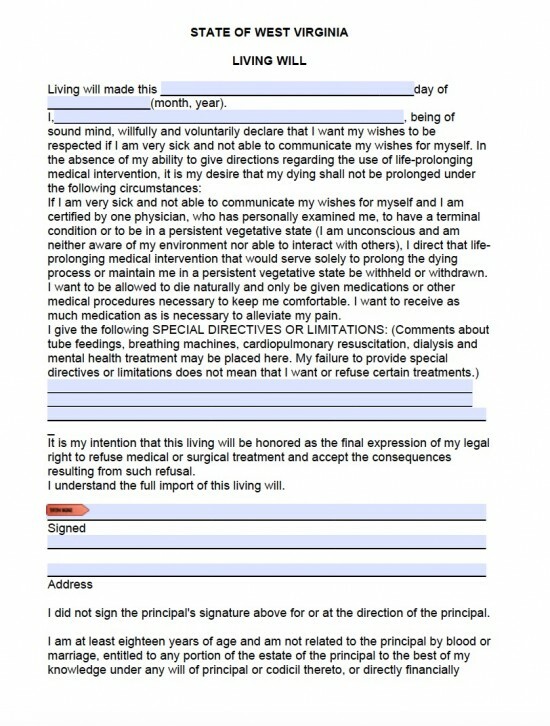 The West Virginia living will, or ‘advance directive’ is created with respects to Statutes §§16-30-1 to 16-30-25 giving a person the right to legally dictate to medical staff the sort of care they will receive if they become ill so that they are no longer able to do this personally. These choices may be ones such as receiving life sustaining treatments like insertion of feeding tubes and artificial respiration. 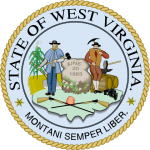 A West Virginia living will form requires two witness and is invalid when the principal is pregnant. The principal may enter any details of specific directives or limitations they might have regarding their medical health care. The principal, witnesses and notary must enter their details.